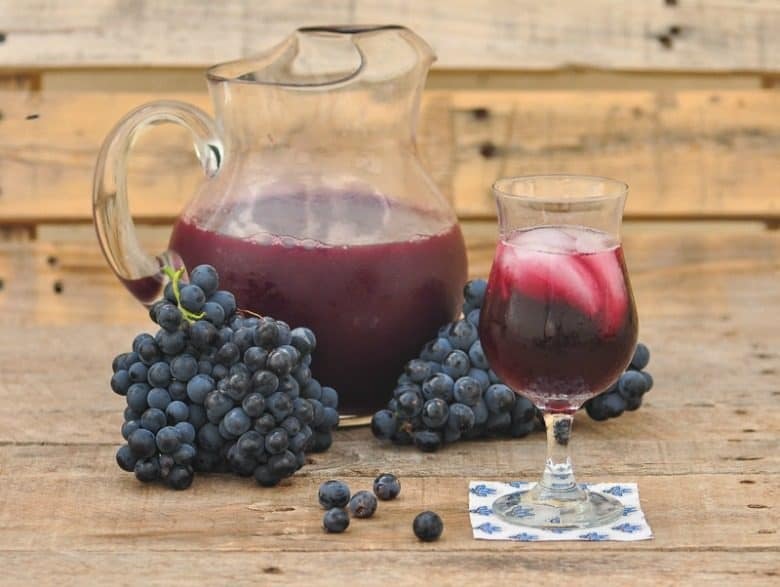 A super refreshing and delicious red wine sangria made with wine, grape juice and fresh fruits. 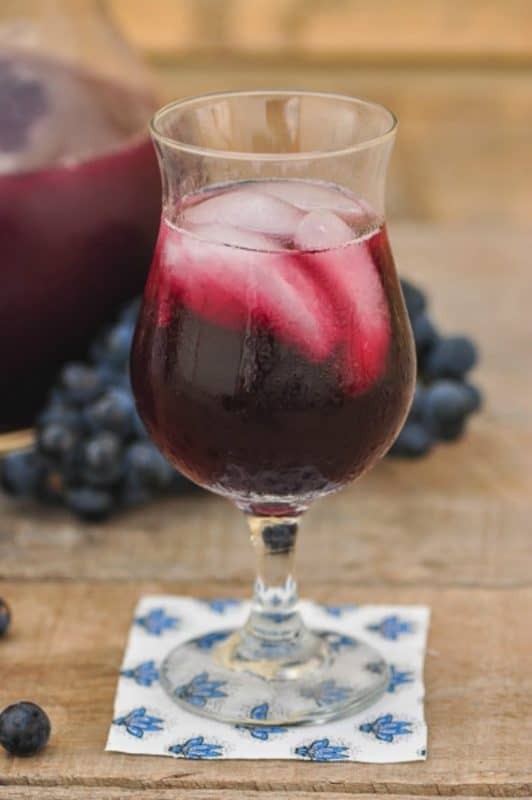 This red wine sangria recipe makes an easy cocktail and is perfect during the Summer months. It’s a great choice to serve when entertaining or at barbecues. Tuttie Fruiti Red Wine Sangria may sound like just another red wine sangria recipe but the secret is freshly juiced fruit juices. There is nothing as refreshing as a sangria recipe made with fresh fruit juices on a hot summer day! Now, not only do you have the antioxidant benefits of red wine but add to that the health benefits of fresh juice and you just can’t beat it! Having a vineyard means we have a lot of grapes – thankfully! 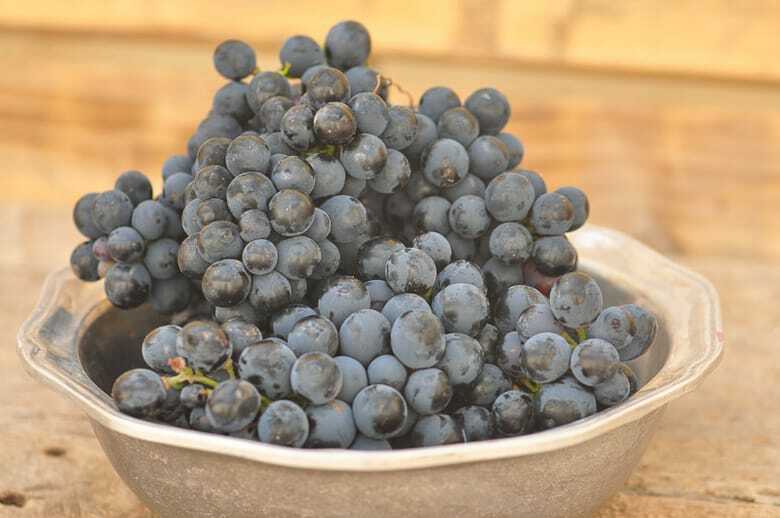 It also means that to check for the ripeness of the grapes we take samples of the grapes for pH and Brix Testing. Our sampling begins on a weekly basis, usually in July. As we near harvest, we begin twice a week sampling. This lets the wineries know when and how many tons of grapes to expect. 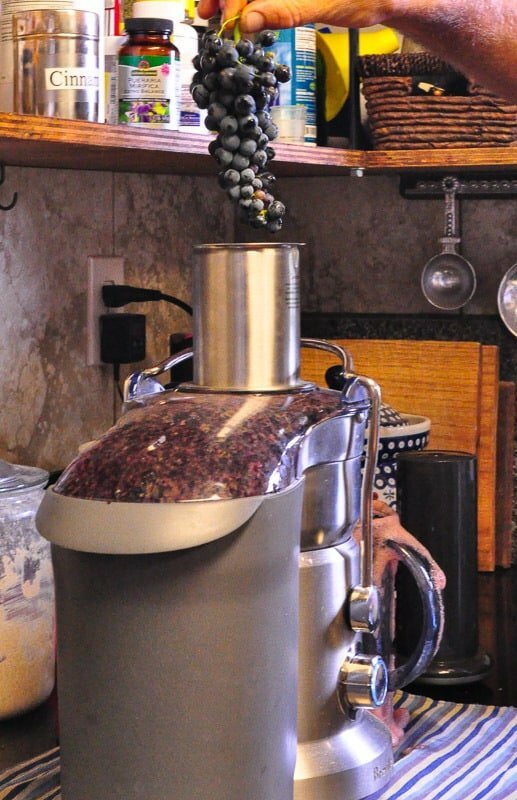 Because both of the tests require the juice from the grapes, we have a lot of fresh grape juice – 1 1/2 – 2 gallons of grape juice to be more exact! That is a lot of juice even for our large family! Besides drinking grape juice, what can you do with it? I know, make jelly (I have done that), Homemade Jello (done that) and…..SANGRIA! Needless to say, freshly juiced grape juice is the main addition to a dry red wine for my sangria. If I have nothing else to add, I know the grape juice makes a refreshing and delicious sangria. But, throw in some freshly juiced apple juice along with a squeeze of lemon and you have a sangria that just went from delicious to fabulous! If I had a really well stocked fridge, I would even juice nectarines or peaches. Be creative and use what you have – it will be wonderful! A couple of months ago I purchased a Breville Juicer and the whole family enjoys the fresh juices. But, one thing I did not count on was how easy the Breville made processing grapes for pH and Brix testing. The Breville Juicer has multiple speeds which I was not sure I would use. But, surprise – the low speed actually throws the seeds and stems of the grapes into the compost bin without crushing them! This means there is NO reason to stand there and pick off each individual grape! I don’t know about you but I don’t have time for that anyway – so, don’t worry about it, throw the whole cluster into the Breville! The biggest advantage to the Breville over other juicers is the easy clean up. Having used other juicers, I know clean up can be a real nightmare – but not with the Breville! So, for a great tasting, cool and refreshing glass of Tutti Fruiti Red Wine Sangria, you need to start with a bottle of red wine! We use homemade Aglianico or Montepulciano wine made from our own grapes. Both are dry, full-bodied reds. Then add freshly juiced fruit juices and voilá – you have a cool refreshing and delicious drink that could not be easier! In the Tuttie Fruiti Sangria, I am using wine grapes which have seeds and are very flavorful. As we move closer to harvest, they are anywhere from 23% – 26% sugar and very sweet. If you are using table grapes like Thompson Seedless, you may need to add sugar to the recipe. When we first begin testing the grapes and they are not as sweet, I like to use a sweet apple like Gala. 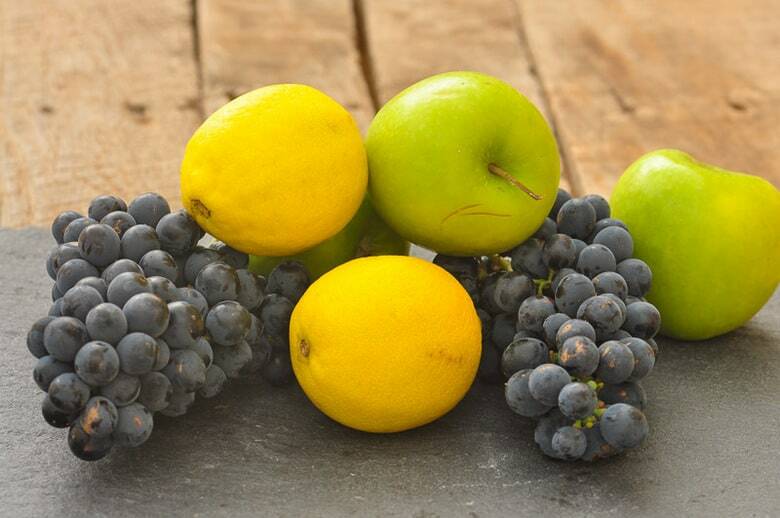 Nearer to harvest, the tartness of the Granny Smith apples help balance the sweetness of the grapes. 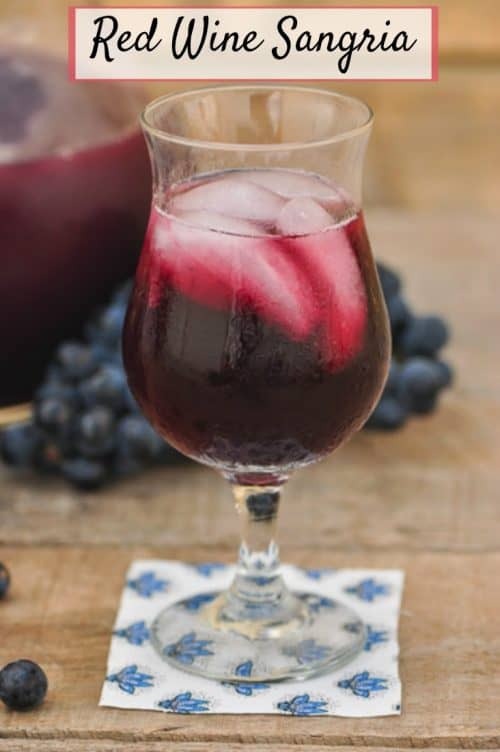 If you’ve tried this Tuttie Fruti Red Wine Sangria Recipe or any other recipe on Cultured Palate please take a minute to rate the recipe and leave a comment letting me know how you liked it. I love hearing from you! You can also FOLLOW ME on PINTEREST, FACEBOOK, INSTAGRAM, YouTube and TWITTER. Fast and easy, you'll enjoy making your own sangria. May garnish with fresh fruit. I use wine grapes that are very flavorful and about 24% sugar - you may add sugar to the sangria to taste. When our grapes are close to harvest and very sweet, I use Granny Smith apples but otherwise Gala apples. You can easily adapt this recipe with whatever fruits you have on hand. Peaches, nectarines, strawberries etc. 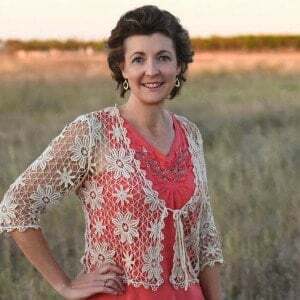 I wish I was a wine drinker–this recipe sounds delicious! Marla, I’m so glad you liked it – it is delicious! You’re so lucky to be able to make your own wine from your vineyard it sounds amazing and I can only imagine how good this sangria tastes. Now just to wait for the warmer weather! I am blessed, Emily! Sangria is especially good during hot weather.